Saturday July 24th was a very special day for Erin & Walt - they shared their wedding vows and began their new life as husband and wife here at Pheasant Field B&B. There were about 200 guests here for this special event - and it was a hot day! We had extra-large fans brought in to move the air in the tent and of course guests were welcome to come inside for a few minutes of cooler air. The reception was catered by Sir D's Catering - the food and presentation was great! Flowers were provided by George's Flowers of Carlisle - they really know flowers! Fun photography was done by Sweet Pea Photographers - you can tell that Kevin & Heidi really love what they do! Everyone seemed to have a good time in sharing their joy for the newly weds. We wish Erin & Walt lots of joy, love, and laughter in their new life together! 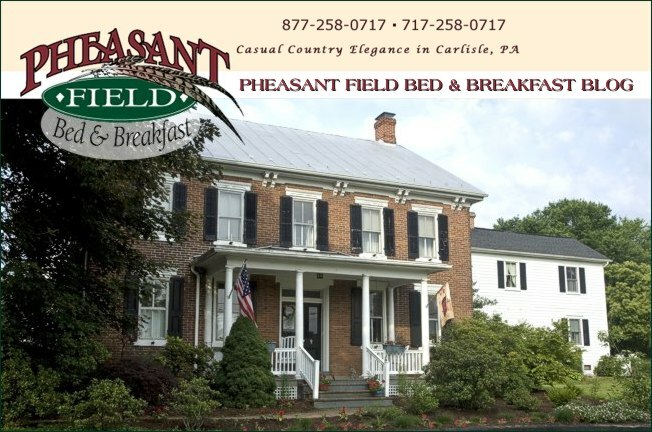 We at Pheasant Field B&B were happy to be a part of this special day!